In my quest to remove books from my shelves, I’ve decided to look at a few quick reads (aka mostly or all patterns). This one is the first of that group. 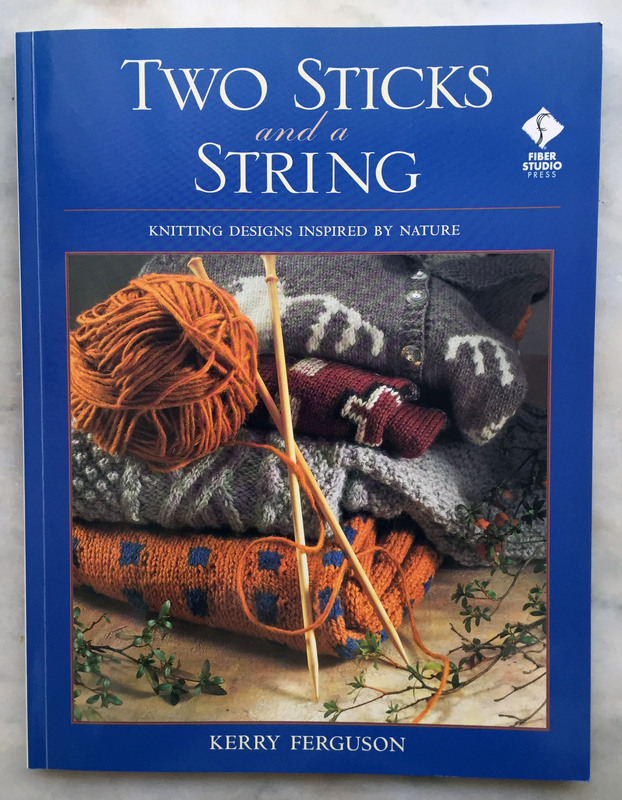 Kerry Ferguson, who I knew as the person at the head of Creative Yarns International and importer of New Zealand yarns, is the author of this book published in 1999. With 15 simple and nicely done designs, the book has clear photos, schematic drawings and charts. 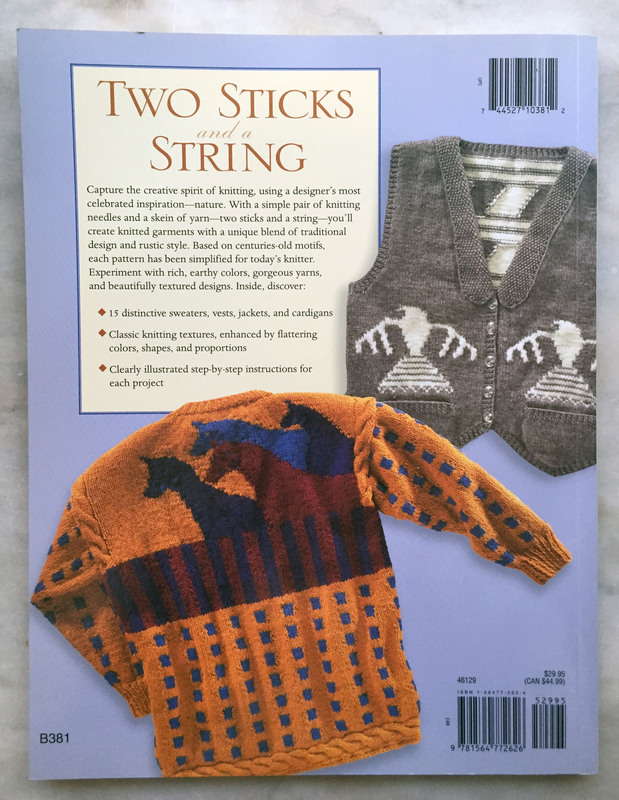 The sub-title is: Knitting Designs Inspired by Nature. That’s a bit of a stretch, but makes a nice theme. 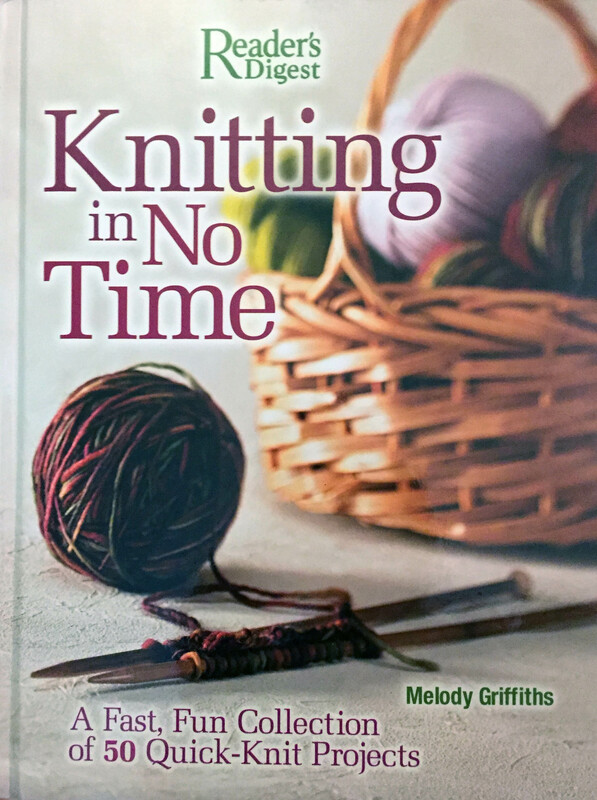 Quite a few of the projects feature color work techniques so this is not a book designed for the novice knitter. 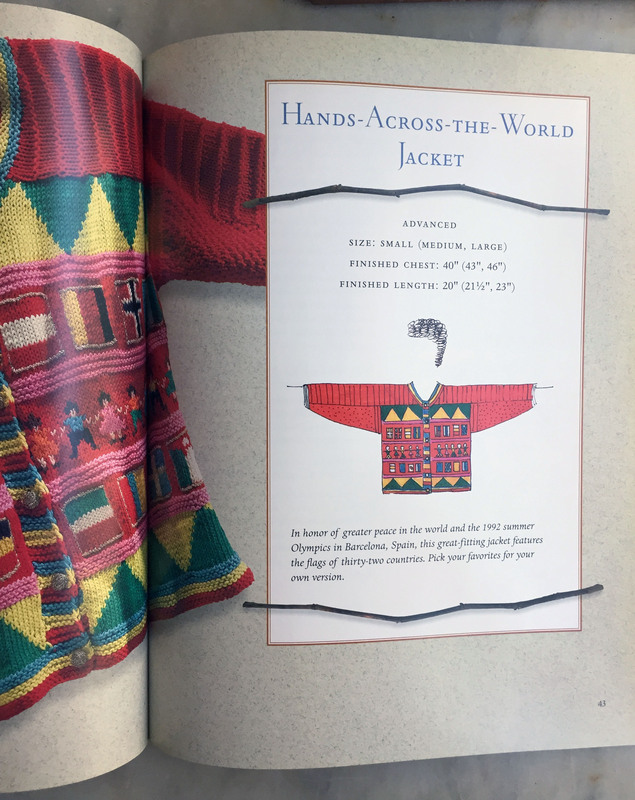 Kerry’s clear drawings make a nice introduction to each design and actually look very much like the actual sweater on the facing page. 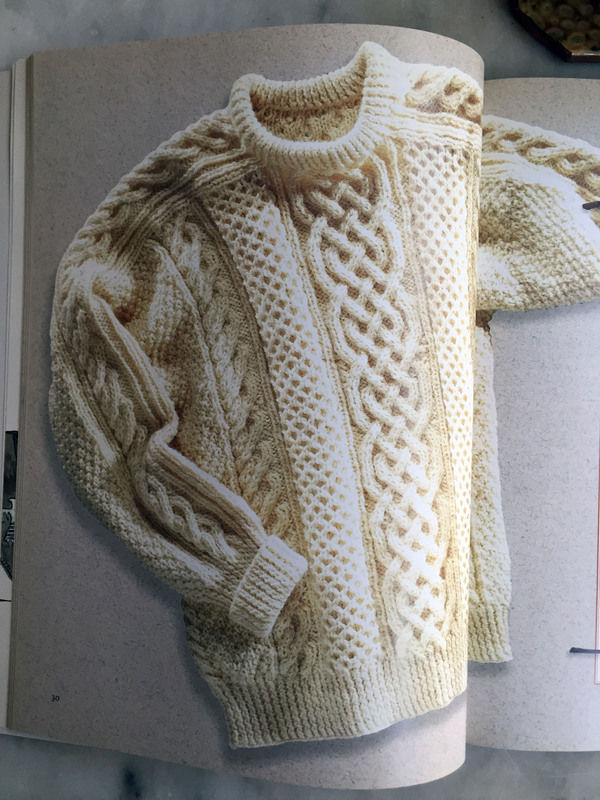 If I were to make one project from this book, the Aran Pullover would be high on my list. Unfortunately, it’s probably not in my future. 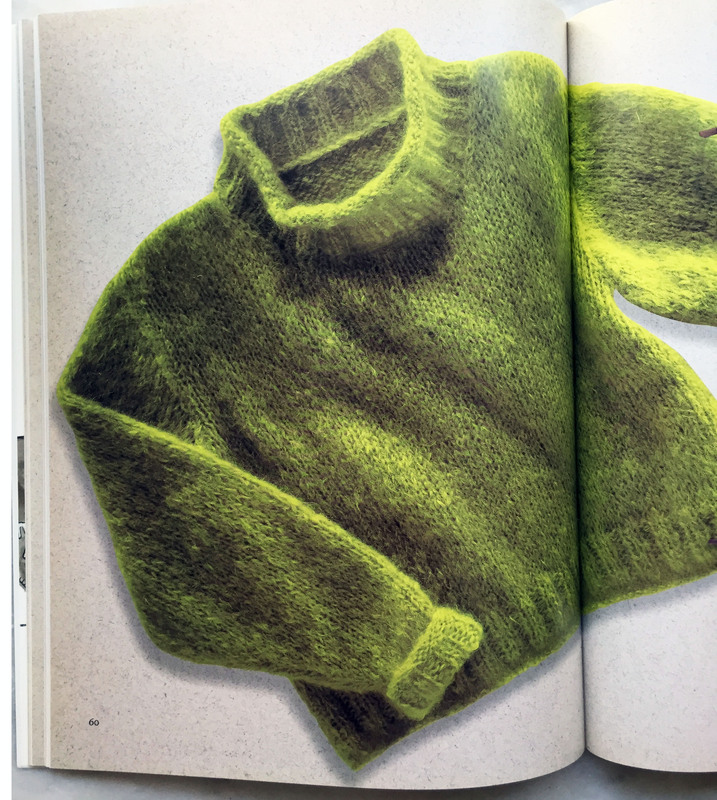 The Mohair Pullover is the easiest project in the book and would make a great “first sweater”. I have to give this a Thumbs Down for me. It’s not a bad book, but not one I need or can use. A quick read and discard for today. This is one of those books that made me say – “what was I thinking when I bought this one”. It’s more of my dislike of a book of patterns rather than a book of substance. This UK book was published in 2006 and I did like that it’s broken down into clear chapters with projects such as accessories, wraps, jackets and bags. It makes it easy to find something you might want to make. A definite – Thumbs down on this book. 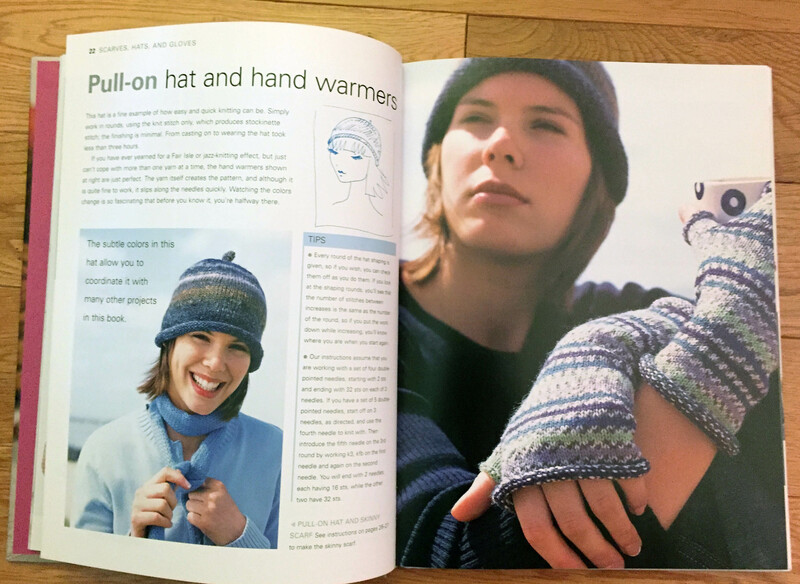 I thought that the hat and hand warmers is an easy good looking project. Each project has a tip box which is especially good for beginning knitters. Another nice project and good use of a variegated yarn. It’s made in a Noro yarn that’s readily available throughout the US. I must be on a Noro yarn fan jag! The above sweater is knit from the top down and pretty easy to make in stockinette stitch. A good “bang for the buck” where the yarn does the work. 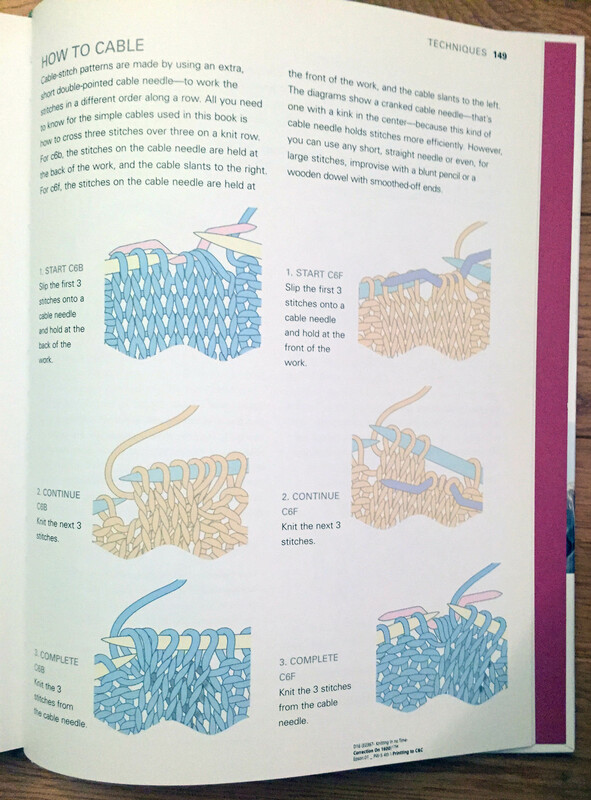 The book ends with about a dozen pages of techniques. 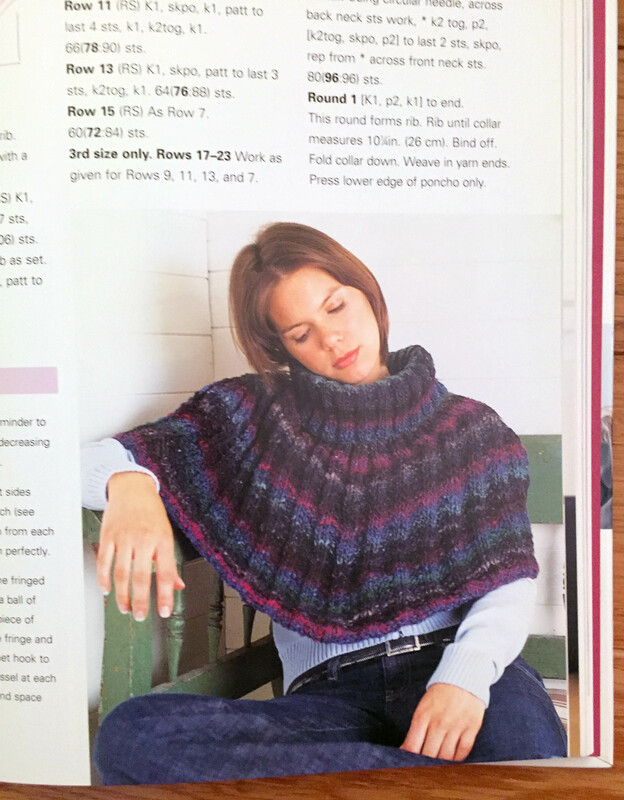 These are well-done and especially good for new knitters. This is my favorite project in the book. I saw it as more of a throw when shown photographed over a chair on the intro spread. 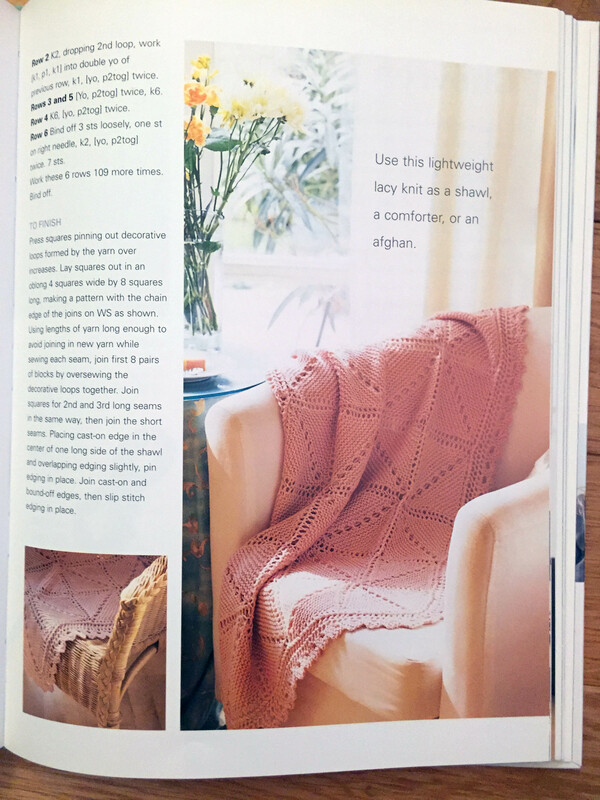 I was surprised when I found that the actual project is called a “Summer Shawl”. At 24 1/2″ wide and 45″ long, it could easily be made a little wider and used as a throw. It’s made in a DK weight (lighter than worsted weight). 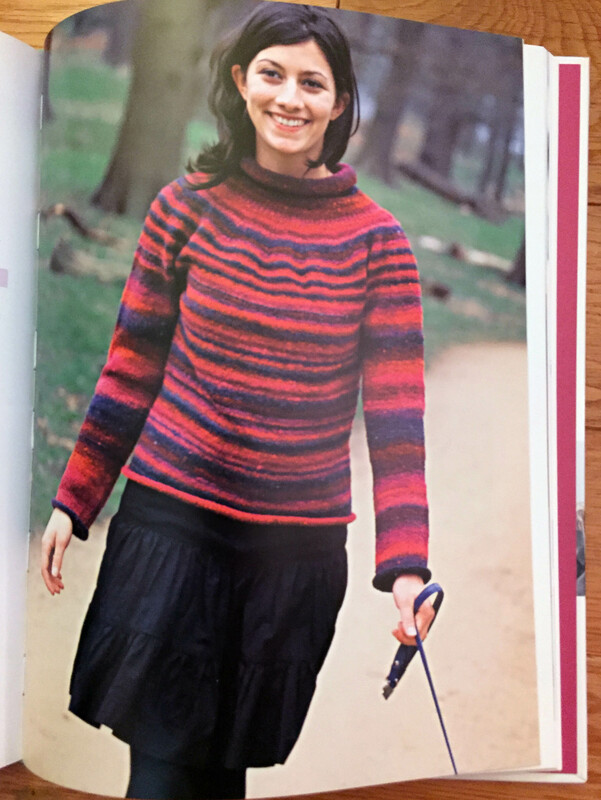 The book could have used a few home decor items or those for baby/kids, but I’m sure that the editors plan for this volume was to stitch with women’s fashions. 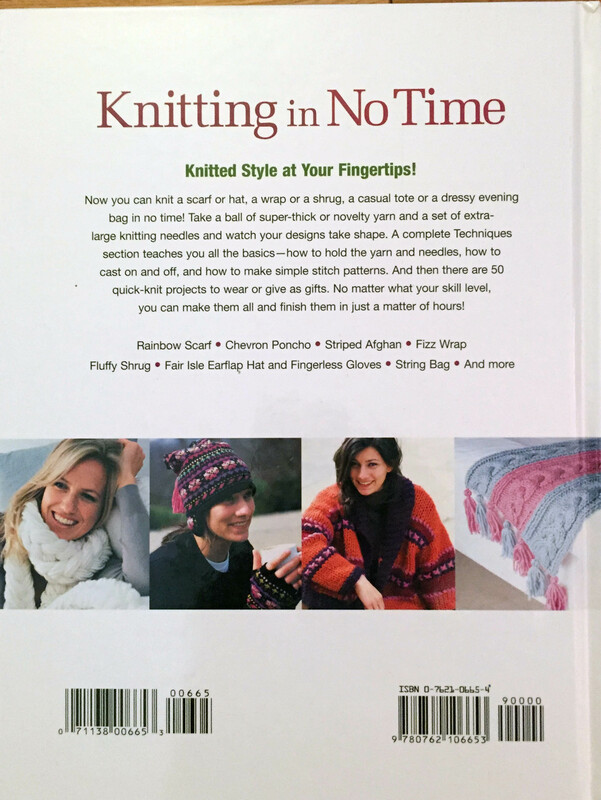 Canada Knits – The end! Today I’m happy to report that I finally finished Canada Knits. Never thought I’d finish this one! I love reading it. This book was packed with info about the evolvement of knitting in Canada, but the heavy text slowed me down. As I remember, I ended Part 1 with Canadian Yarns. Do I want to keep it? I enjoyed the reading and loved all the interesting photos – some black/white a two color sections. That said, it’s not a book that I really want to keep on my “forever” shelf. Sorry “Shirl the Purl”! 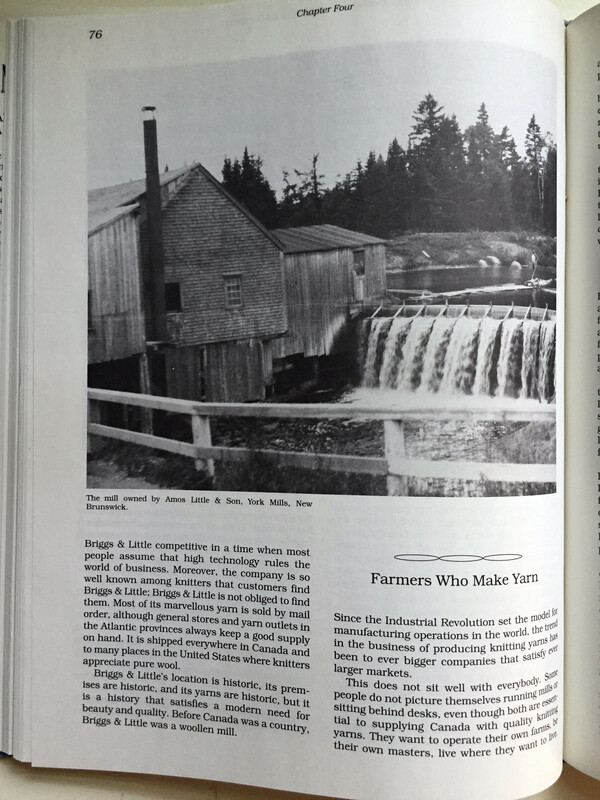 Here’s a photo of the Amos Little mill (that evolved into Briggs & Little). Small mills such as this one were often the advent of today’s larger yarn companies. 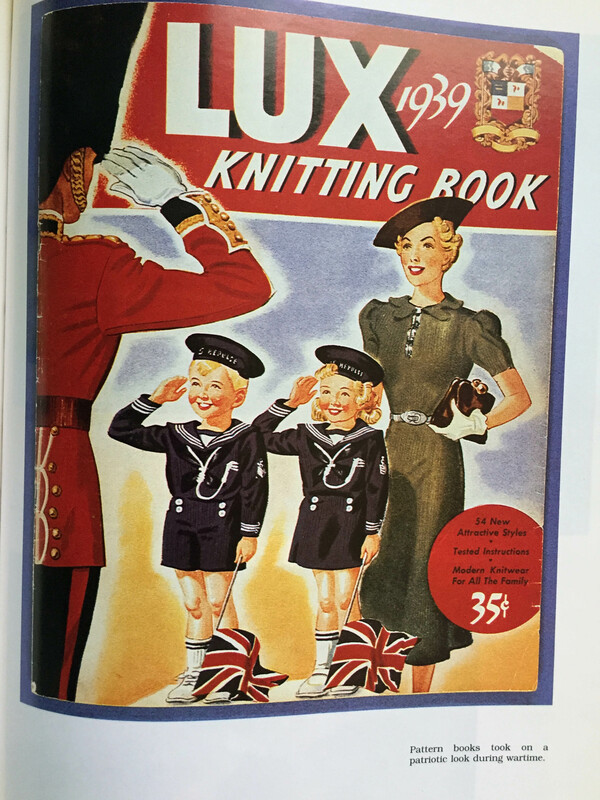 The Lux Knitting Book published in 1939 is part of the wartime Canadian effort. 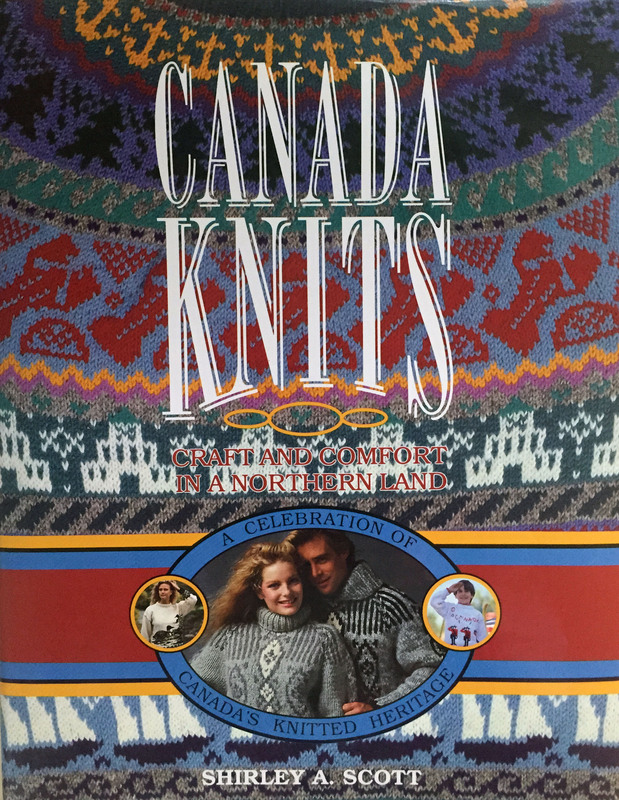 Sporting life in Canada influenced knitting. 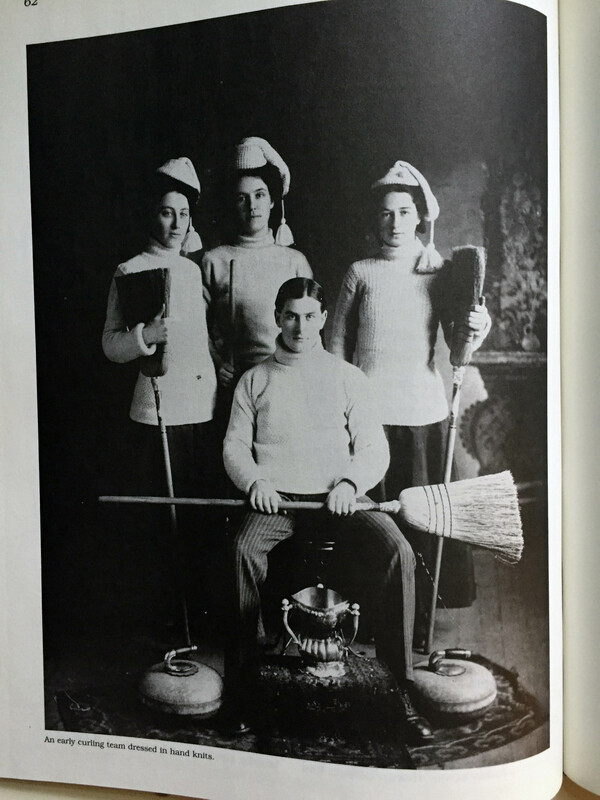 Curling, imported from Scotland in colonial times, created a need for fine-gauge sweaters and hats. 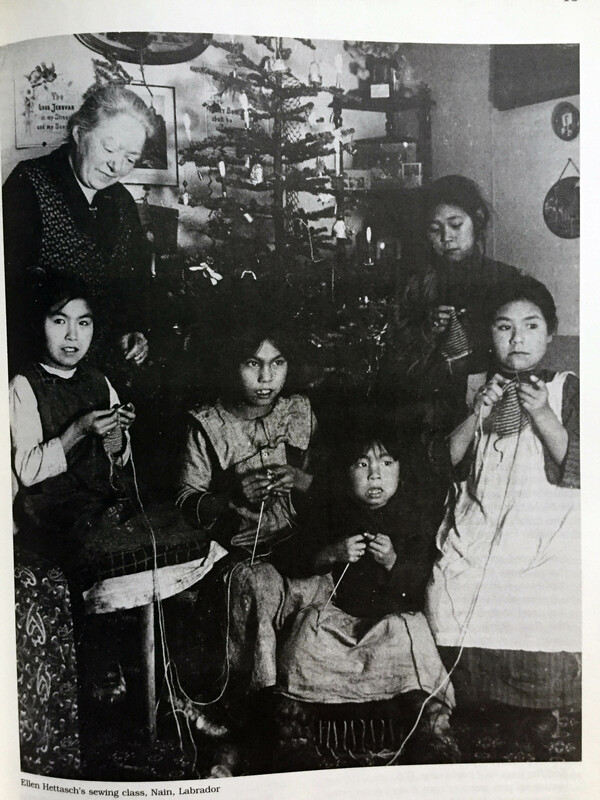 Missionary work in Eastern Canada added to the number of knitters. Young girls were taught at an early age.